Commercial conditioners are costly and chemical-laden. Make your new conditioner, and leave all of that behind. 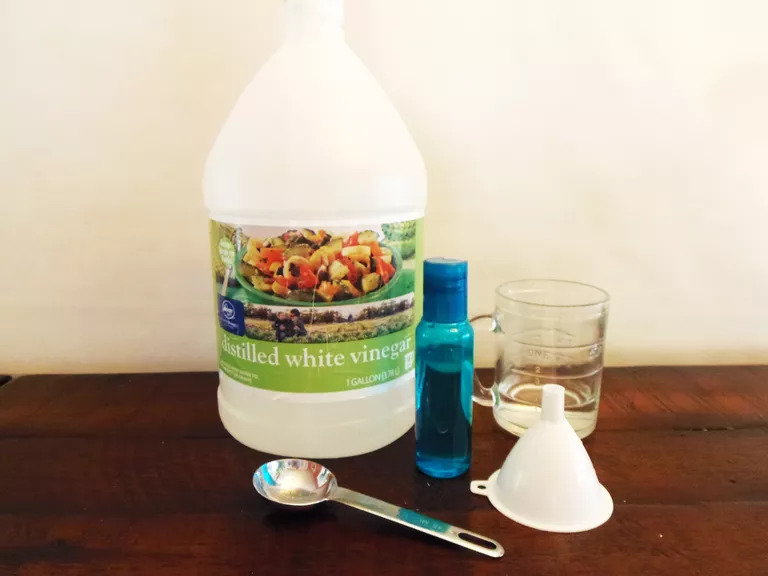 You probably know that vinegar, an acidic, clear liquid substance derived from fermenting alcohol, can be used virtually anywhere in your home from cleaning wood floors to windows to wastebaskets. But you can also use it to condition your hair. not only cleanses your scalp; it helps with dandruff problems, too. Let it sit for a couple of minutes. Then, rinse. Your hair will smell like vinegar until it's dry but should be scent-free after that. If you hate the smell of vinegar, add a few drops of essential oil—such as lavender or rosemary—to your mixture. And, if you miss the scent that your old conditioner left in your hair, add a few drops of essential oil to your hairbrush. Doing this will lightly fragrance your hair. Stick to white vinegar if you have blond hair because apple cider vinegar may darken your hair. Proceed with caution if you have color-treated hair. Most people report that conditioning with vinegar actually extends the life of their color job, which makes sense since vinegar is often used to set clothing and egg dyes, but your results may vary. And, as with any conditioner, you should avoid getting vinegar in your eyes. If vinegar hair rinse is just not your thing, but you still want to save money and avoid store-bought varieties, . It also is inexpensive and easy to make, and it can help with dandruff problems just as well as vinegar. It will take a few weeks for your hair to adjust to your new conditioning regimen. Commercially made products strip your hair of its natural oils, so your hair will be used to working extra hard to restore them. This could lead to greasier or drier hair as your body finds its new normal. Most vinegar conditioner users find that they only need to wash and condition their hair two or three times a week. If you're not ready to abandon your cream conditioner entirely, use vinegar once every couple weeks to eliminate product buildup.